We are the world’s leading Jewish humanitarian aid organization. You have the opportunity to choose from among JDC’s many humanitarian programs. Whether it’s caring for the elderly in the former Soviet Union or providing health education to children in Ethiopia, you’re able to support the cause you’re most passionate about. Participants will work with JDC’s Mitzvah Project Initiative to find meaningful ways to help the global Jewish community. There are many ways to partner with JDC in addition to creating your personalized Bar/Bat Mitzvah Campaign page usingwww.jdc.org/mymitzvah including: use technology to explore your family’s journey through JDC’s Archives, connect with B’nai Mitzvah students around the world, collect art supplies or sports equipment to send to Jewish summer camps for in other countries, and even get first-hand experiences seeing JDC’s work in Israel and around the world! 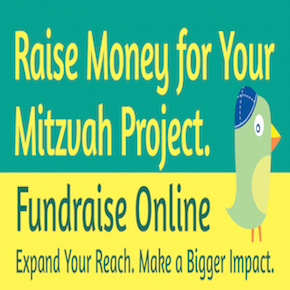 Using www.jdc.org/mymitzvah, decide which of JDC’s humanitarian programs speak to you, create an online campaign dedicated to your Bar or Bat Mitzvah, raise money, reach your goal, and make a lasting impact around the world! Work directly with a JDC staff member to personalize your project, and shape a project that you truly connect with. 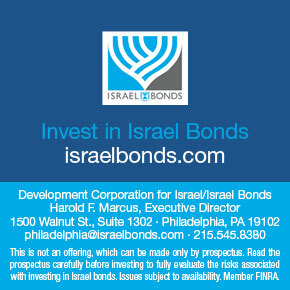 Contact Shaina Sherman at shainago@jdc.org or (646)871-3267 for more information.